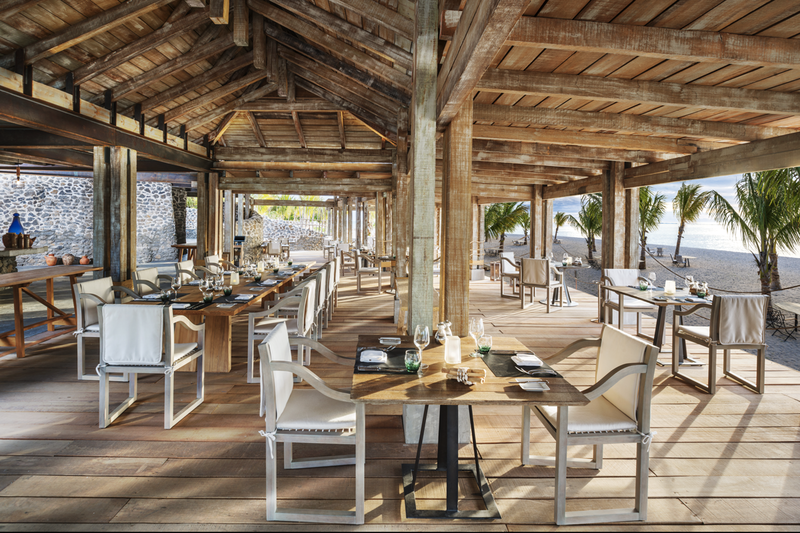 Mr Damon Page as Area General Manager Indian Ocean and GM of the St Regis Mauritius Resort. 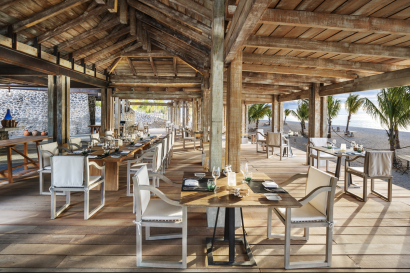 Mr Damon Page lead development of the company portfolio in the region, including Mauritian properties The St. Regis Mauritius Resort, The Westin Turtle Bay Resort & Spa, Le Méridien Ile Maurice and Le Méridien Fisherman’s Cove, Seychelles. Mr Damon Page has 30 years of experience in the industry and in his career has managed and opened properties for some of the world’s most luxurious brands, in countries across three continents, Australia, Asia and Europe. 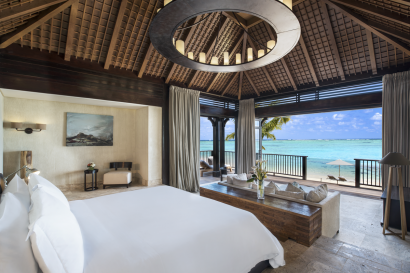 A few of his more prestigious hotel openings include W Maldives (the first resort in the W brand family for Starwood), the W Hong Kong and St. Regis Tianjin. Australian-born Mr Damon Page joined Starwood Hotels and Resorts in 1995 and has managed various city hotels within the Starwood group in Hong Kong, Shanghai, Moscow and Warsaw; as well as resort hotels in the Maldives and Malaysia. Page’s industry experience also spans into casino operations. 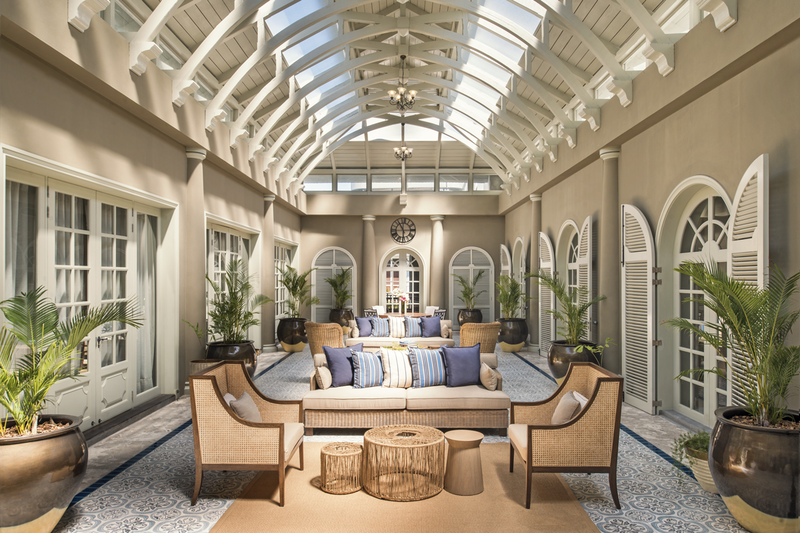 He joins The St. Regis Mauritius Resort from Jupiters Hotel and Casino in Queensland, Australia, where he was recruited to spearhead a six-star refurbishment project of the Gold Coast’s only casino. As General Manager for The St. Regis Mauritius Resort, which officially opened its doors in March 2013, Mr Damon Page is responsible for overall management of the property, which features six dynamic restaurant venues; the Iridium Spa, a private cinema and the luxury kite surfing school, ION Club Prestige. The resort also features The St. Regis Villa – the largest and most exclusive private beachfront residence in Mauritius – which opened in late 2013. 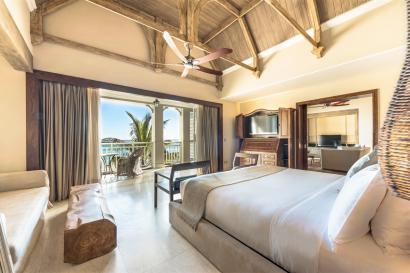 Main focus on high end clienteles for our Superior Suites and unique exclusive The St Regis Villa. 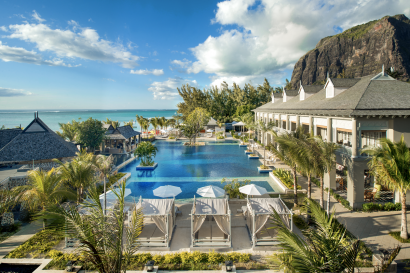 Quick history : The architecture, landscaping and interiors of The St. Regis Mauritius Resort draw simultaneously on St. Regis’s traditional design hallmarks and the local heritage and regional aesthetics of Mauritius. Internationally renowned architects, Stauch Vorster and interior designer, Trevor Julius of Dsgn, drew their aesthetic inspiration from the romance of Mauritius’s colonial past and the regional specifications of the resort’s address. The architects and interior designers sought to capture the distinctive character of the location by recreating the structure and ambience of a Victorian manor house and historical estate. 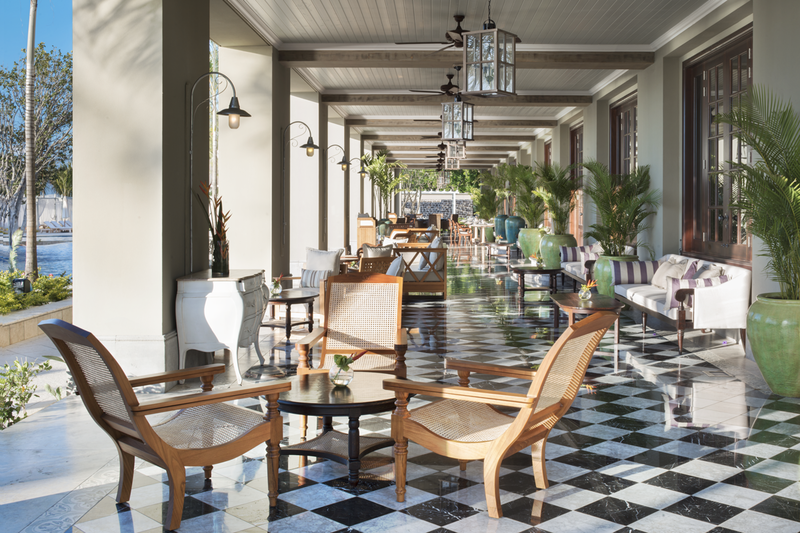 The legacy of colonial romance and refinement, reflective of the island’s Victorian heritage chimes perfectly with the St. Regis vision of the art of living. The colonial style of the buildings speaks to a sense of place and authenticity. The rooms, vast terraces and colonnades, especially in the Manor House, convey the grace of the era. The design enhances the impression that guests are arriving as visitors of a private residence rather than at a hotel reception. 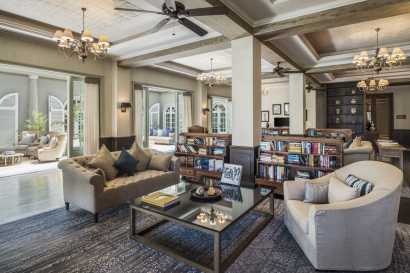 In keeping with the St. Regis values of personalized experiences and discretion, the architecture eschews public areas and standardized administrative spaces. The resort is configured around the Manor House, where the restaurants, bar, ballrooms and other facilities such as a library and conservatory can be found. 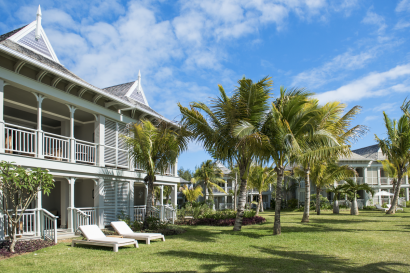 Its grounds resemble a rambling estate, where the spa, pool, restaurants, guest suites and a villa are thoughtfully positioned. The architecture of the manor house and other buildings, such as the boathouse, has been conceived as altered originals, deliberately conjuring the passage of time. The impression of individual history is sustained through every aspect of the detailing. 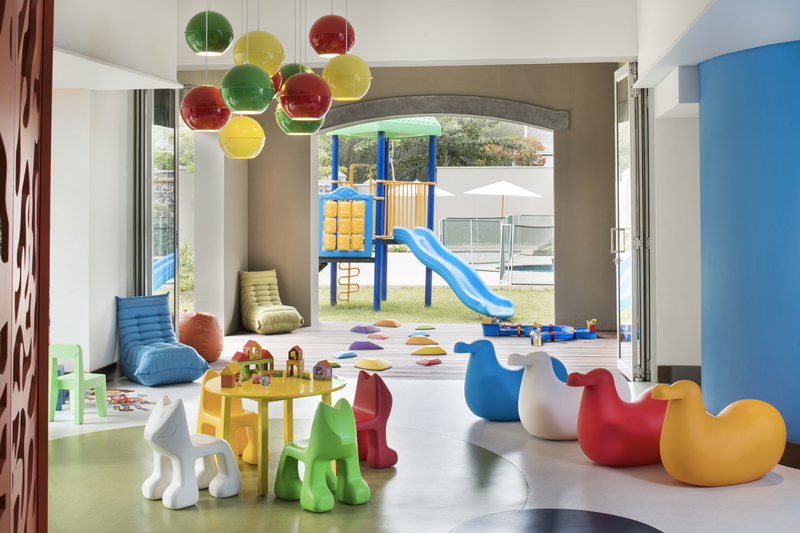 The furnishings have all been carefully collected – no two pieces are the same. It is as if the owner of the manor house personally sourced artefacts from countries associated with Mauritius’s compelling colonial past, taking in French, Eastern, British and Indian influences and curating an eclectic stylistic exploration of the island’s cultural heritage. History & Heritage : A born inventor and change maker, John Jacob Astor IV founded The St. Regis New York as a place to pursue his passions in the company of the city’s luminaries. 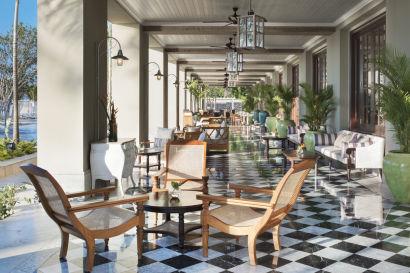 More than a century later, the St. Regis brand is renowned for its tradition of innovation and commitment to impeccable service at more than 40 hotels and resorts around the world. Kite Flyer Club for children of 4 to 12 years free of charge. Children below 04 years need to have assistance of a babysitter to access the Kite Flyer Club or an adult as member of the family can accompany the children. 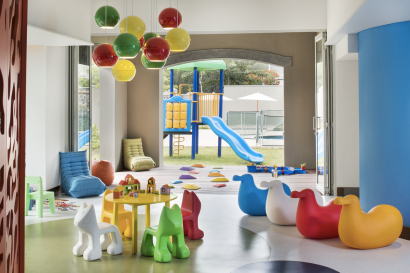 Children/teenager program through the year is available and a spacious Luxury cinema for 32 seats and a game room are free of charge. All above accommodation are located on frontage of the resort with direct seaview and the room amenities is remede and for the villa both remede and hermes. 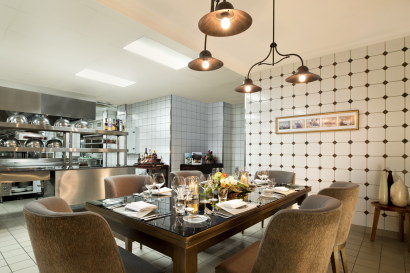 – le manoir dining room – fusion french & mauritian cuisine / simply india – indian cuisine / boathouse grill & restaurant – mauritian and seafood. All above 4 restaurants are included in hb basis wheras the 5threstaurant as atsuko – japanese cuisine the client will entitle a 25% discount on food consumed only. The iridium spa (2,200 sqm) with a gym 24/7 – 2 swimming pools in main resort + 3 plunge pools & 1 infinity pool exclusively at the st regis villa + hamman & small gym (200sqm) all equipments at our gym are of brand technogym. 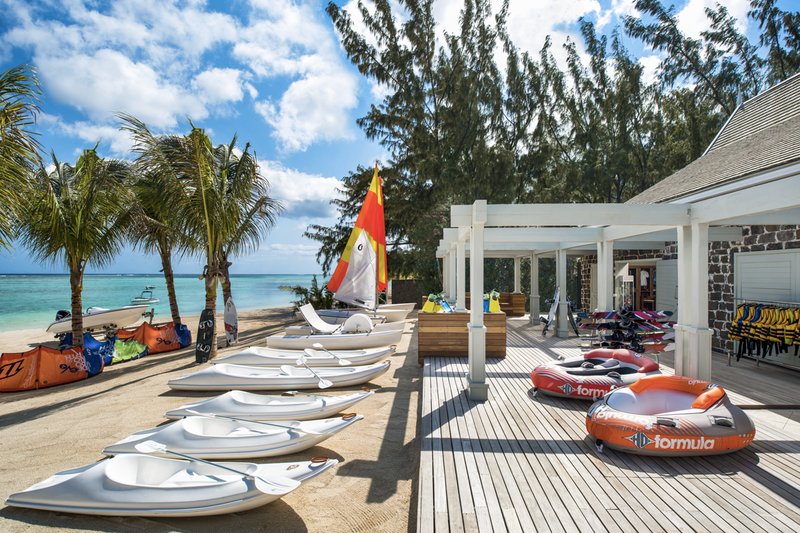 Inhouse watersports activities complimentary as waterski, kayak, paddle boat, snorkeling, glass bottom boat, laser (small sailing boat for 2 pax), windsurfing + at extra cost services available at the resort premises kite surf with ion club prestige and diving with easy dive mauritius. 1 luxury cinema for a capacity of 32 seats / yoga & meditation sessions free of charge 2-3 a week depending on the resort occupancy / cooking class on request at extra charge. 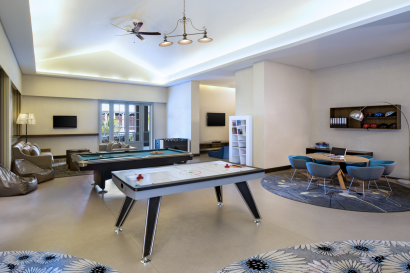 All other activities can be booked at our concierge desk.